Oy vey. I finally made it to sleep three hours before my alarm went off this morning. So I literally rolled out of bed, changed shirts, and put some deodorant on before clocking in for work. 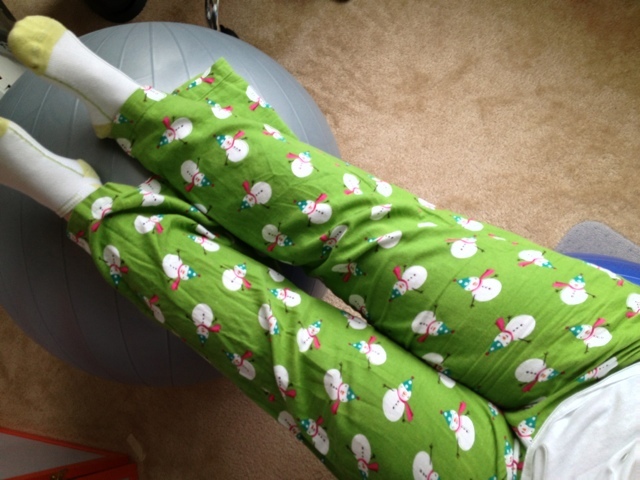 I worked over 9 hours in lime green pants with snowmen on them. Don't judge.